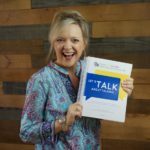 Join pediatric speech-language pathologist Laura Mize, M.S., CCC-SLP of teachmetotalk.com as she talks with SLP Kendra about the progress a busy 2 year old on her caseload. Originally, the little girl demonstrated escape/avoidance behaviors even when she seemed to like an activity. (Listen to show #329.) After some adjustments to the approach and goals, she began to participate for longer periods and started to use a few words (Listen to show #334). Today we’re seeing what other changes have occurred since our last update! 1. Get a hearing/medical evaluation for any child with a language delay – especially if there’s little progress in therapy. As in the case of this little girl, sometimes there are no big markers or obvious signs (like repeated ear infections) for middle ear fluid and this can create devastating consequences for a late talker. When a child can’t hear adequately due to fluid and/or a build up of pressure in the ear, she can’t learn what words mean. She won’t be able to follow directions or participate well during play and daily routines, in addition to not talking. Middle ear fluid is EASY for pediatricians to miss when a child isn’t running a fever or showing any other symptoms. Request a hearing test with an audiologist who regularly assesses young children to rule out this problem. 2. Kids may not add many new words when they’re super focused on other developmental areas. This little one is making rapid gains in her receptive language skills – or understanding and linking meaning to the words she hears. Although she hasn’t added many new words, she’s still making progress because she’s following many more directions during the day. Celebrate this progress! 3. Continue what’s working and revamp what’s not! Keep targeting current receptive language goals – helping her follow commands and requests with familiar items during daily routines. When she’s ready, bump up to understanding new action words and location words. Expressively, focus on exclamatory words and verbal routines. 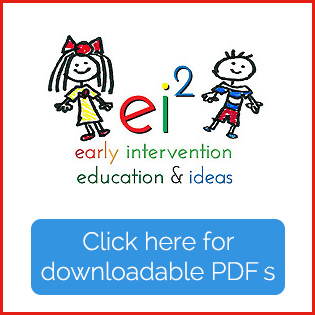 For more ideas for this approach check out Building Verbal Imitation Skills in Toddlers. 4. When attention is a problem and seems to interfere with progress in speech therapy, pursue Occupational Therapy to obtain information about a child’s sensory processing skills. OTs specialize in this area and often provide a “missing link” with strategies that help children learn to attend and participate. 5. 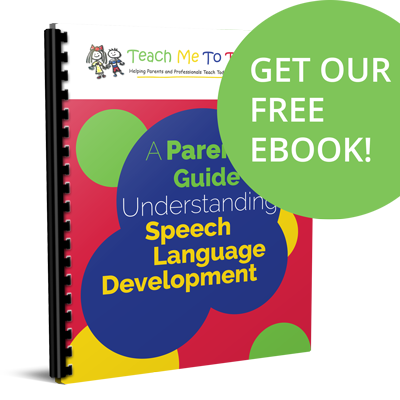 Follow a logical plan for teasing out a child’s prelinguistic skills to determine any unidentified weaknesses. When a child isn’t talking yet, sometimes “talking” isn’t really the problem. Use a method to help you determine the underlying skills that are absent. I can help you with that in my book Let’s Talk About Talking!